A petition to save a Stoke-on-Trent World War I memorial from demolition has been delivered to Downing Street. The document, signed by more than 10,000 people, calls on the government to stop the Ministry of Justice selling off the former Fenton Magistrates’ Court that houses the plaque listing 498 men from the Fenton area. The BBC quotes campaigner Cheryl Gerrard, who was one of around 40 people who went to Downing Street to deliver the petition. ‘What we fear is that a private commercial developer will buy the building and then demolish parts of it to make it viable – or cut off access,’ she said. Fenton community association has said it would consider running the building to restore its ballroom and open a cafe. Stoke-on-Trent City Council listed the building as an ‘asset of community value’ in August blocking any potential sale until February 2014. A spokesperson for Her Majesty’s Courts and Tribunal Service, part of the MoJ, said it had applied for that decision to be reviewed. The Magistrates’ Court, built in 1886 as a town hall, closed in December 2012 as part of government plans to shut 93 courts in England and Wales in a bid to save £41m. For more about the memorial, click here. This entry was posted in News and tagged Big Society, destruction, Fenton, Fenton Magistrates Court, memorial, Stoke on Trent. Bookmark the permalink. These monuments are sacrosanct, like the graves where they are mostly buried and memorials where they are remembered if they are the ‘missing’. Revitalise and reinvigorate interest in them, especially as we enter the centenary years of this dreadful conflict. Thanks for reblogging. I’m in agreement about sacrosanct nature of memorials. Very sad that this one is under threat. 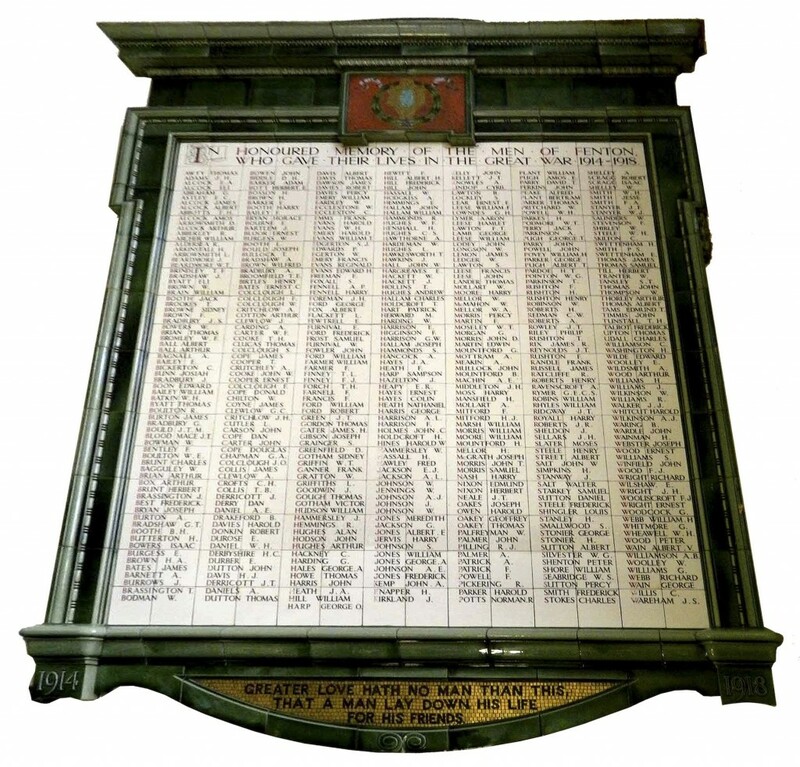 More than 400 names equates to a lot of relatives and suffering in Stoke-on-Trent in World War I.